All of London’s theatre at your fingertips. Discover brilliant theatre with London’s most comprehensive guide. Thousands of audience and critic reviews. Personalised recommendations. Seamless booking. Stagedoor is London’s most comprehensive and innovative theatre guide. Follow your favourite directors, writers, actors and venues. Stay up-to-date with their current and upcoming shows. Keep track of shows you’re interested in. Get notified when tickets go on sale, reviews are out and before they close. Seamlessly book tickets to shows. Say goodbye to entering CC details every time you book at a new venue. Discover shows through thousands of audience and critic reviews. Keep track of all the shows you’ve seen in your theatre journal. With over 2 million apps, Apple’s app store is a crowded place. Imagine our surprise when Stagedoor got featured as one of the “Loved by Apple” apps. Twice! In one month! Stagedoor is the official app of the biggest theatre festivals in London, The Camden Fringe 2018, 2017, and 2016, VAULT Festival 2017, listing over 1425 shows and 300 theatre companies. 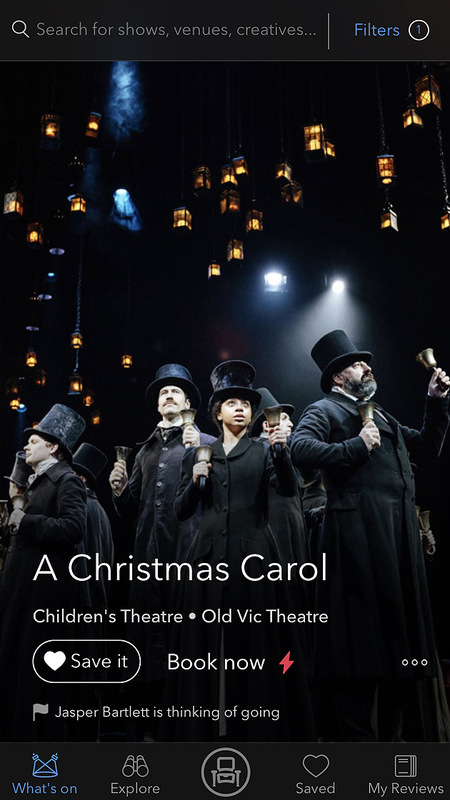 London’s most comprehensive theatre guide, tailor-made for you. The project is co-funded by the ERDF as part of the Funding Scheme for Entrepreneurial Innovation of the Cyprus Ministry of Energy, Industry, Commerce and Tourism (File No. 8.1.12.13.3.3.75).